Remarks: My book looks like it has been through the baking war! I've bought 2 copies because I had to give it to a friend. I thought it couldn't get any better until Sue released her first published book! Wonderful!!!! 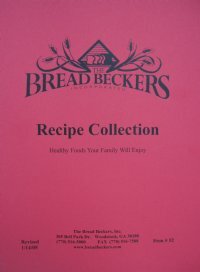 "Easy to use and great information"
Remarks: I am new to bread making and this has been an easy to use and very helpful Recipe Collection Book. I am having so much fun trying all the great recipes! Thank you! Thank you! My family is loving all the new baking I have been doing. "Must Have For the Fresh Ground Bread Maker"
"I've bought at least a dozen!" Remarks: I keep extra on hand to share because this is the best way to introduce folks to 'real bread'. 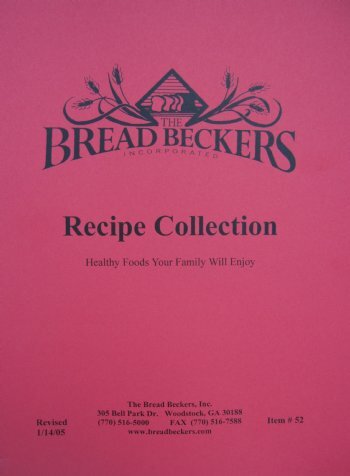 "Great compilation of information & recipes!" Remarks: Amazing book for $6!